I believe that prevention is better than cure when it comes to your health, but I also believe that your body can heal itself if you give it the right tools, the right nutrients and the right environment. Hi, I’m Liz and I’ve written this post so you can understand a bit more about what a registered nutritional therapist does and how I can help you. So what is a Registered Nutritional Therapist? So, a registered nutritional therapist is someone who will look at your diet to see where nutritional imbalances lie and correct the differences to help your body heal itself. 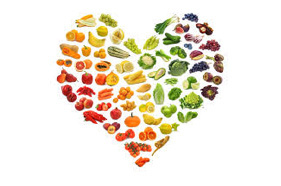 Nutritional therapists will also work alongside a medical professional (your GP, consultant). 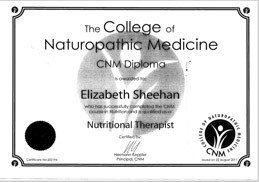 I started my training in 2008, and studied for 3 years at the College of Naturopathic Medicine in London. My training was based on the Functional Nutrition model that looks at the whole person, not just an isolated set of symptoms. It is a level 5 qualification with 400 hours of lectures and clinical practice. Year 1 was Biomedicine and then 2 years of Nutrition. I’m registered with BANT, the British Association of Nutritional Therapists and the CNHC, the Complementary & Natural Healthcare Council. I’m passionate about the science of the body and the science of food and as part of the commitment to my work and for my continued professional development I meet weekly with a mentor from the Institute of Functional Medicine as well as doing my own learning and keeping updated with new research that comes out. Nutrition continues to grow and develop at a fast pace. I’m also currently doing a Pharmacology course so I can understand more about your medications and work more closely with your Dr/consultant. My clients tend to be people who have made a commitment to their health and want to learn how better to support themselves through the foods they eat. This might be because they’ve got a medical issue that is impacting on their life, or because they’re not feeling as good as they want to feel. They are ready to make a change in the way that they’re eating, but just don’t where to start, or need some motivation. I see clients who are dealing with a wide range of symptoms: PMT, menopause problems, fertility, stress and anxiety, diabetes, thyroid problems, cancer, acne, digestive system problems and many more. No matter what the symptom, my aim is to get to the root cause. For example, if you’re having symptoms of anxiety then the root cause could be in your gut. Or if you’re struggling to lose weight, it could be because you have a food intolerance, toxicity, a thyroid imbalance or because of chronic stress. I’m a detective trying to find out how your health has got to where it is today. So what does a session with me look like? I will send you a comprehensive health questionnaire, and a food and symptom diary to fill in before you come. I’ll review it before our session. During your session, I will spend time exploring your health history to help establish the possible root cause/s of your symptoms. I will be able to show you a map of your health history so you can understand how you have got to where you are today. We’ll talk about what’s happening in your body, and give you an understanding of why it’s happening. I will have already looked at your food diary to see if there are any nutrients that you are lacking. And then, together, taking into consideration your time constraints, your budget, your energy levels and any food likes/dislikes, I’ll put together a nutrition plan for you. I may ask you to get copies of your most recent blood tests, ask you to go to your Dr for blood tests or recommend Functional testing as a way to see exactly what’s going on in your body. 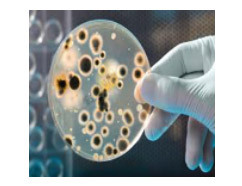 The kind of Functional testing I recommend is stool analysis to see if you have any “bad” bacteria’s, yeasts, even parasites that need to gotten rid of. How much of the “good” colonies of bacteria you have growing, but this test also looks at how well you are digesting proteins, fats and carbohydrates. Another test I frequently use is a salivary adrenal stress test. 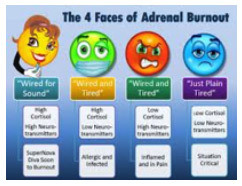 If you have had chronic stress then it may be that your adrenal glands are compromised and that’s why you’ve been feeling so exhausted even if you have a healthy diet and lifestyle. Other tests I use are for a complete look at your thyroid hormones, (there is more to the thyroid picture that just TSH), food intolerance, heavy metal toxicity, hair mineral analysis and hormone testing (potentially see why you are having menopause symptoms, PMT, irregular periods or fertility issues). Also Optimal Nutrition Evaluation that looks at how well your body is using your nutrients and where any insufficiencies may lie. Knowing all of this may answer unexplained symptoms and may drastically speed up time for improvement in symptoms because there is no guesswork involved, no trail and error with foods and supplements. So depending on your needs, I may recommend therapeutic dose supplements and/or recommend specific diets and some simple lifestyle changes to support your body during your healing process. Even though I may recommend supplements to help improve your symptoms or damped down inflammation, or boost your energy levels, I don’t believe there is a “magic” pill to solve those problems. You have to put the work in to get the most benefits to your health and I will be there to guide you along the way. Over the last 5 years, my clients have seen some incredible changes. What’s fascinating is that on top of resolving their health concerns, we always see beneficial side effects, like improved energy levels, weight loss, more comfortable digestive system, less stress & tension in their body, confidence in how their bodies work and what their bodies need and improved radiance in their eyes & skin. I just wanted to say thank you sooooooooooooo much!!! I think I was heading for depression I really do, but I feel so much better and it’s all down to your help. You are wonderful!!!! Almost all disease is diet and lifestyle related. You may be born with a genetic predisposition but it doesn’t mean that that gene will get switched on. The gene is the bullet in the gun. It’s your diet and lifestyle that pulls the trigger. I really LOVE my work and I really don’t believe you should have to put up with any of your ‘symptoms’. So if you’re struggling with something, and feel like we’re a good fit, then email or call me, and we’ll arrange a time to chat & get you started!